We offer responsive prototyping, spring design assistance, same-day turnaround, cost-effective semi-automated packing, flexible ordering from prototypes to ongoing Just-In-Time/Kanban supply chain fulfillment, a vast array of custom CNC equipment and in-house tooling that positively differentiate us from our competitors. Jonspring prides itself in promptly responding to our customers' needs, that is why we reinvest a significant amount of our capital in new equipment each year, either expanding our capabilities or increasing quality and turnaround speed by eliminating older obsolete equipment. Due to our aggressive reinvestment strategy, we are continuously expanding our service offerings and operate with nimble agility rapidly responding to customer needs, so please contact us if your specifications require a procedure we have not listed below. 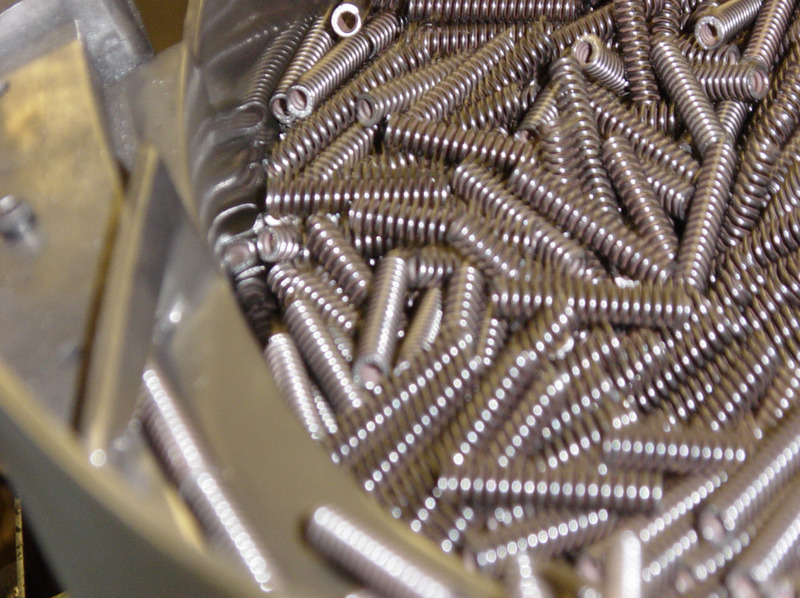 We have the capabilities to fulfill your custom spring design, prototyping and ongoing manufacturing needs. One of our specialties, with a long history of consistently exceeding customers' expectations, usually begins with another spring suppliers failing to meet your quality or timeliness needs. After calling us and discussing requirements, we have often been able to manufacture and deliver on-spec within 24 to 48 hours, meeting delivery deadlines and quality specifications that our competitors fail to deliver even with months of advance notice in many occasions. We pride ourselves on stocking many sizes and types of materials in order to answer your call when needed with unparalleled turnaround.